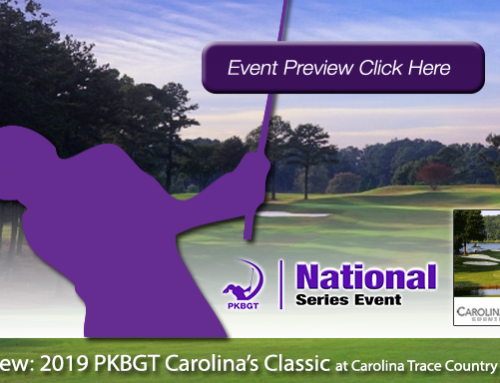 On Saturday, February 9, the Peggy Kirk Bell Girls’ Golf Tour completed the first round of the 2019 Orange Whip Classic at the Walker Course in Clemson, SC. 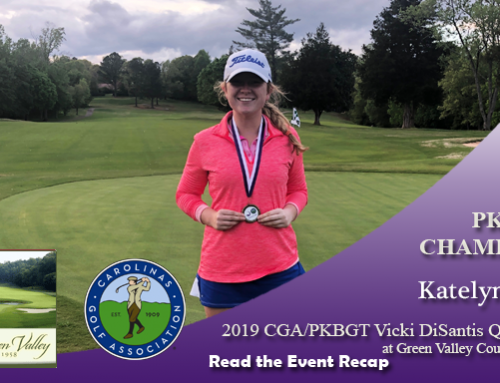 Presented by Orange Whip Golf, the first day at the home course of Clemson University Women’s Golf saw a tight race in all three fields. After a beautiful Friday afternoon of practice rounds, the wind kicked in along with chilly weather, but that wasn’t enough to cool down the PKBGT field. It was a crowded day atop the leaderboard and players flocked the practice range following their first round to iron out the kinks for tomorrow’s final round. Here is where everyone stacks up following the first round of play. 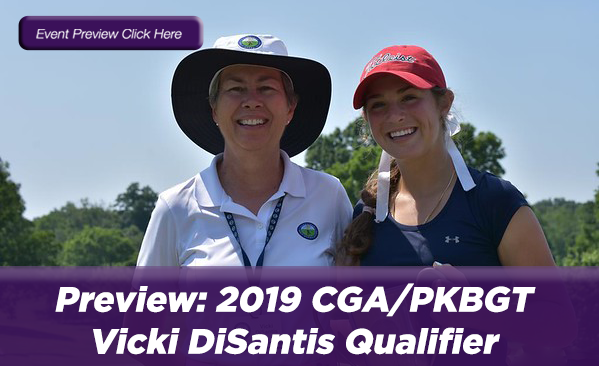 In a three-way tie for first place in the 33 player Bell National field, with first-round scores of 73 (+1), are Catie Craig (Sautee Nanoochee, GA 2021), Kimberly Shen (Johns Creek, GA 2022) and Chloe Holder (Williamston, SC 2021). Craig finished the day with three birdies including two on her back nine, boosting her to the very top of the leaderboard. Shen also finished the day with three birdies, though in the opposite fashion of Craig, starting her front nine off strong with two. Holder topped the group with four birdies, including three on her back nine. 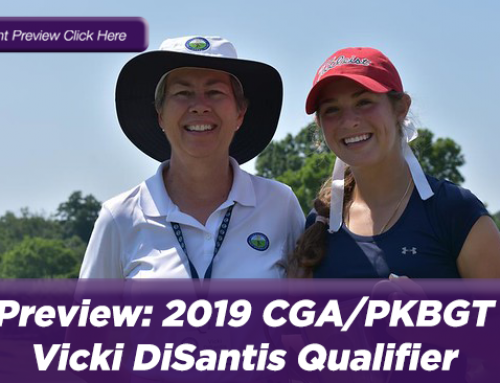 Sara Im (Duluth, GA 2023) and Ana Tsiros (Asheville, NC 2019) finished in a tie for fourth place with scores of 75 (+3). The highlight of Im’s day was an Eagle on the par 5 hole 5. Tsiros finished with three birdies. 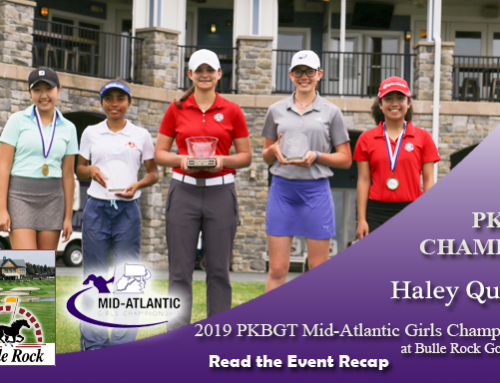 Madaline Anathasane (Auburn, GA 2020), Macie Burcham (Greensboro, NC 2021) and Mackenzie Gallhager (Orlando, FL 2021) finished in a tie for sixth place with scores of 76 (+4) in the first round. Gallagher and Burcham each holed two birdies with Anathansane holing one. 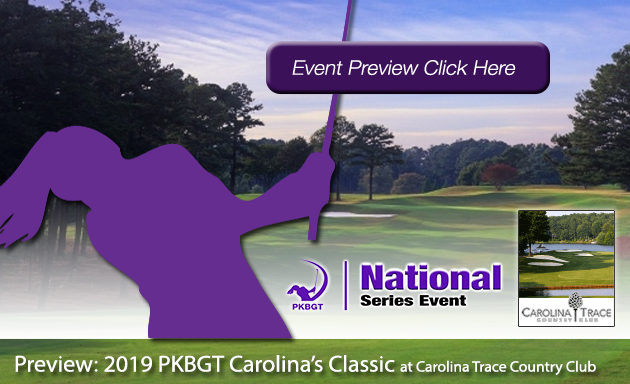 Leading the 20 player Prep Preview field is Macy Pate (Boone, NC 2024) with a score of 75 (+3). Pate holed four birdies on the day including two in three holes to start her day. 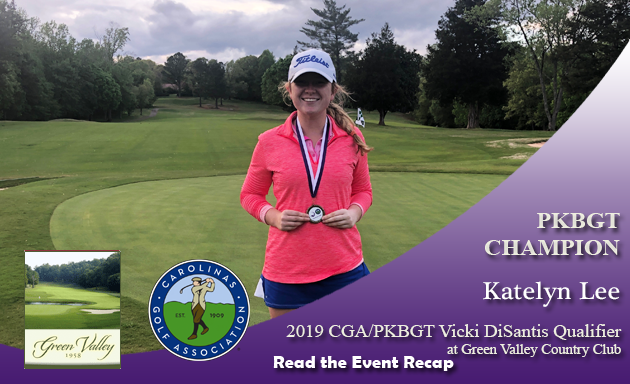 In second place after the first day of play is Kallie Pavlish (Charlotte, NC 2020). Pavlish sits just two strokes back after a first round of 77 (+5) including three birdies on her first nine. Grace Holcomb (Wilmignton, NC 2021) is currently in third place after shooting a 78 (+6) in her first round of play. Holcomb scored eagle, birdie back-to-back in her front nine. 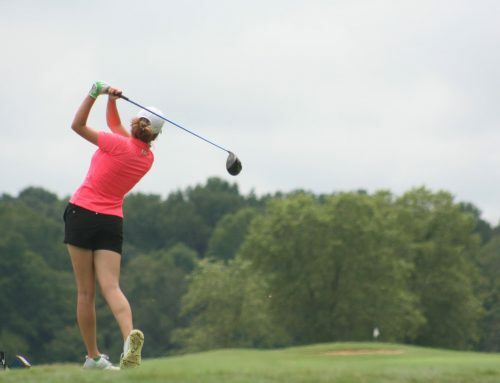 In fourth place, with a score of 79 (+7), is Abby Franks (Roebuck, SC 2023). Franks had her best hole of the day with a birdie on the 14th. Rounding out the top five in a two-way tie is Emileigh Swords (Liberty, SC 2019) and Madison Logan (Brasstown, NC 2022) with scores of 81 (+9) in the first round. Currently atop the Futures National field of 16 players is Abigail Cheney (Guyton, GA 2021). Cheney shot a first round 81 (+9) and had two birdies on the front nine. In a tie for second place are Sophie Lauture (Raleigh, NC 2024) and Bethany Welch (Matthews, NC 2023), each shooting first-round scores of 84 (+12). 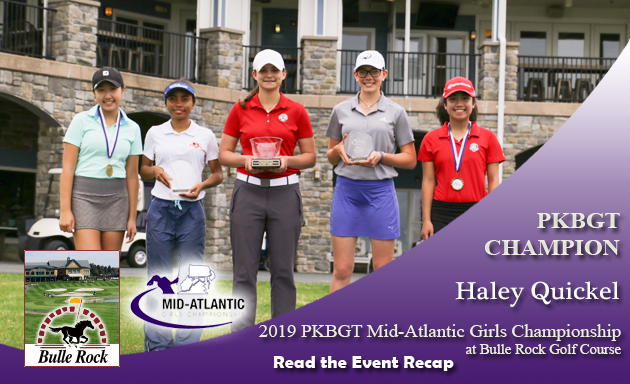 Paeton Phillipi (Wytheville, VA 2021) is in fourth place after a first-round score of 85 (+13) and Hanna Webber (Jonesville, SC 2022) closes out the top five. The second and final round of the 2019 Orange Whip Classic presented by Orange Whip Golf tees off tomorrow, February 10! 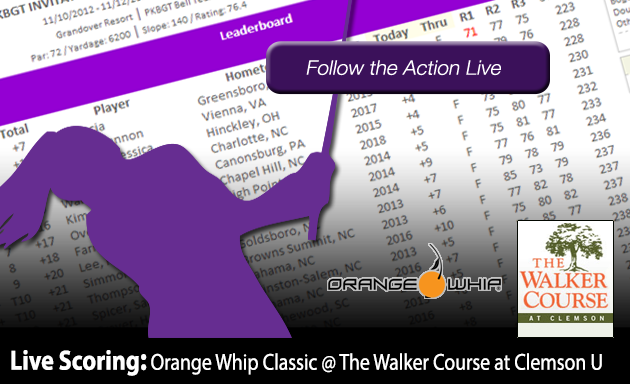 It promises to be an exciting finish down to the wire at Clemson University’s Walker Golf Course.